With the surge of Medical Tourism growing due to the economic boom as of late. It’s no wonder why Outpatient clinics are popping up here and there in the Metro now. Aside from it being a alternative to seeking diagnostic care to hospitals. Their quality aren’t bad as well since they make sure that they are at par with the International Standards in providing quality patient care. Among these clinics is Aster who recently bagged an ISO 9001 award. 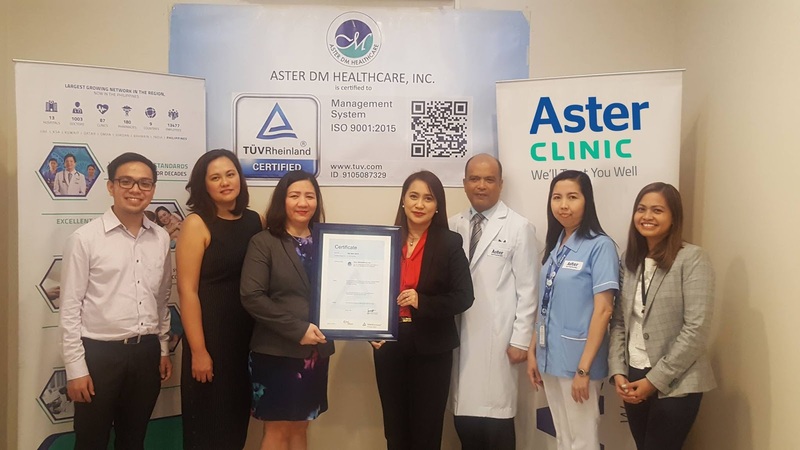 Aster Clinic is the first outpatient clinic in the Philippines to be given an ISO 9001:2015 certification from the reputable German company TUV Rheinland. This certification is the most difficult and is also the most reputable among awards given by the German company. The milestone award coincides with the 30th global anniversary of its parent company, Aster DM Healthcare LLC based in UAE. Though it is a prestigious award it comes with a responsibility. It requires Aster to continue to ensure that it confirms to international standards and quality patient care. The certification and award giving body specifically looks into how a company manages potential risks, confirms with global standards and various other criteria. The clinic is just around for one year, fairly new to be honest. However it is an extension of more than 30 years of service and experience. Being customer-centrist is a core-value of Aster as well by continuously ensuring that quality of service is a culture within the company. Also, the Clinic Information System (CIS) and Electronic Medical Records (EMR) are technological breakthroughs in the company that have been recognized for its efficiency to patient care. The CIS and EMR are systems for recording and keeping patients’ health information like laboratory results, medical check-up appointments, and even x-ray images. The information can be tracked by patients through the internet or their smartphones, which saves time, effort and costs on the part of the patients. The doctors can quickly refer to the patients’ records. Meanwhile the company is planning to expand in the country and will open three more branches in February next year. Their goal is to become a chain of outpatient clinics while looking for opportunities of building hospitals and pharmacies. Their thrust is to promote their services to young adults as they recognize the increase of chronic or lifestyle diseases among this age group. 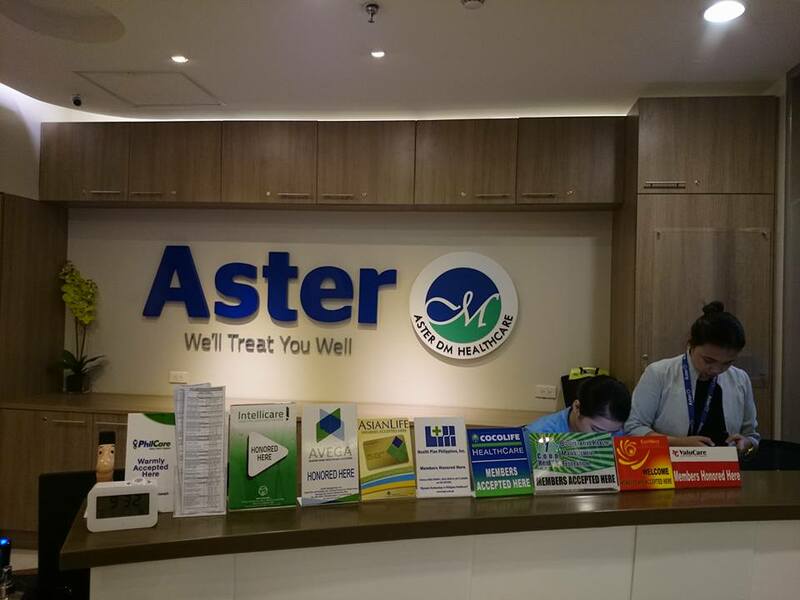 With an ISO 9001:2015 certification on its company wall, Aster Clinic in the Philippines is hopeful that these plans will be part of the future.